Russell Blackford at Bertrand Russell's Bloomsbury flat late 2013. Photo by Jenny Blackford. I am an Australian philosopher, legal scholar, and literary critic, based in Newcastle, NSW. I am a Fellow of the Institute for Ethics and Emerging Technologies, editor-in-chief of The Journal of Evolution and Technology, a regular op-ed columnist with Free Inquiry, and a Laureate of the International Academy of Humanism. I hold an honorary appointment as Conjoint Senior Lecturer in Philosophy at the University of Newcastle. You can find my academic (philosophy-oriented) curriculum vitae (including a selective list of publications) here. My qualifications include First Class Honours degrees in both Arts and Law, and a Master of Bioethics degree. I hold separate Ph.D.s in English literature (from the University of Newcastle) and philosophy (from Monash University). I am an experienced public speaker and presenter, and I love to talk about ideas. In September 2011, I was third speaker for the opposition in an IQ2 debate in Sydney on the subject "Atheists are wrong". This was broadcast on national free-to-air television in Australia, and the video is available here. (My team won the debate convincingly!) Other major appearances in recent years have included presentations at The Amazing Meeting in Las Vegas in 2013 and the World Humanist Congress in Oxford in 2014. I post from time to time on my personal blog, Metamagician and the Hellfire Club. I also have a page at Academia.edu if you want to check it out. My Twitter handle is @Metamagician. Russell has created an impressive body of work that deftly weaves together his academic research and popular writing across a wide range of topics and outlets. On subjects as diverse as philosophy of religion and science, ethics, and political philosophy, Blackford’s clarity and earnestness demonstrates the indispensability of philosophy for public debates. The panel particularly commends the way in which Blackford’s writing not only communicates philosophical ideas, but also models philosophical practice, taking the reader along through a process of lucid and balanced argument to reach his conclusion. His work has, deservedly, found a wide and eager audience. Ultimately, Blackford enjoins readers to ‘take a stand, as loudly as [they] dare, for liberal values and for freedom’. Noting that most of us are happy to entertain and to venture a much greater range of views and opinions in private than we are in public, he suggests that we should, to the extent that we can, be courageous in doing so publicly, for the sake of ‘true’ liberal principles and values. 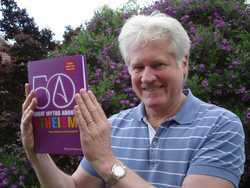 Blackford’s book exemplifies how things might be if only we would all stop shouting at one another and learn to listen. My books from 2017 and 2016 are Science Fiction and the Moral Imagination: Visions, Minds, Ethics (Springer, 2017), Philosophy's Future: The Problem of Philosophical Progress (co-edited with Damien Broderick; Wiley-Blackwell, 2017), and The Mystery of Moral Authority (Palgrave Pivot, 2016). Richard Garner, Professor Emeritus at The Ohio State University, says of The Mystery of Moral Authority, "[It] is an accessible, up-to-date, thorough, convincing and fair-minded attempt to show that the 'mystery of moral authority' has not been, and most likely will not be, solved. ... Blackford recommends that we replace the idea of morality as a collection of truths about how we ought to live with the idea that it is a modifiable social technology aimed at finding ways to live in groups. This realization frees us to replace outmoded moral norms with practical ones more appropriate to our present needs and circumstances." Ruth Chadwick, Distinguished Research Professor at Cardiff University, says of my 2014 book Humanity Enhanced, "This book provides a refreshing contribution to the debates about enhancement and offers a much-needed analysis of the relationship between emerging technologies and liberal tolerance—or the lack of it—in some well-rehearsed arguments. This is essential reading for anyone interested in not only enhancement but also emerging technologies in general." Of my 2012 book Freedom of Religion and the Secular State, A.C. Grayling says: "This is a must-read: Blackford has given us a forceful and persuasive book that will have a big impact on the debate it addresses." For more about my books, short stories and articles, see my Books page, my page of Selected Articles and Stories, or my full Bibliography. You can also check out my Amazon author page. Some of my published articles (and extracts from my published fiction) are available free of charge here. 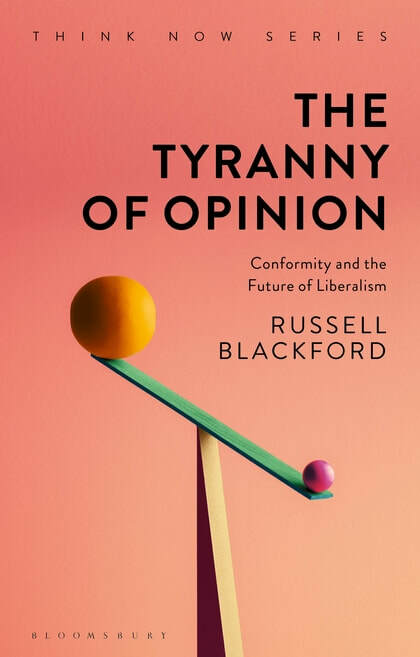 November 2018: My new book, The Tyranny of Opinion: Conformity and the Future of Liberalism (Bloomsbury Academic) was released on 18 October 2018 (with a 2019 copyright date). September 2017: Science Fiction and the Moral Imagination: Visions, Minds, Ethics (Springer) is now available. July 2017: I have won the 2017 AAP Media Prize, which was presented by the Australasian Association of Philosophy at the Alan Saunders Lecture, held on the evening of 4 July 2017. On this occasion, the Alan Saunders Lecture was delivered by Professor Nancy Sherman. This annual lecture takes place in conjunction with the AAP's annual conference - hosted this year by the University of Adelaide. June 2017: Science Fiction and the Moral Imagination: Visions, Minds, Ethics is ​now available for pre-order from Amazon. ​May 2017: My new book, co-edited with Damien Broderick, is Philosophy's Future: The Problem of Philosophical Progress. It is now available on Amazon. August 2016: I have taken up a position on the editorial board of the newly launched Journal of Posthuman Studies.